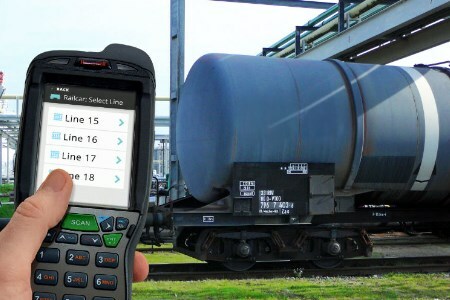 Many tank terminal operators are looking to reduce costs by simplifying their business processes. The Implico Group will be demonstrating how this can be done at StocExpo Europe. The company is set to highlight its software and cloud solutions that boost tank terminal process efficiency at the show. Key points of focus will be the handheld Navigator, the integrated OpenTAS system for terminal management and automation, as well as cloud solutions and data services specially designed for the downstream sector. The Navigator key to the OpenTAS terminal management system. It is used to control logistics processes in the tank terminal, especially those involving goods movements with transport types such as ships or railcars. The company has optimised this tool and made it more user-friendly. The second highlight at Implico’s StocExpo stand (J10) is the handheld solution – a combination of a rugged input device and a specially designed software package. The solution ensures that operating business at the facility can be integrated into the OpenTAS terminal management system, doing away with handwritten notes and manual data entry at a later stage. This makes the process simpler, quicker and more reliable. Implico will also be showcasing the OpenTAS release 6. Designed for refineries and tank terminals, the all-in-one solution for terminal administration and automation is suitable for all types of transport and works with any kind of field equipment. Features of release 6 include improved usability and support for the latest hardware, databases and operating systems. The release also introduces a significantly more flexible reporting system. Visitors to the stand can also find out more about iGOS, a package of cloud solutions, data services, hosting, and housing tailor-made for the downstream industry.